Click image for larger picture. Falklands Theater was first introduced as an idea by ccc. v1.0 was released by PMC already back in 2002 which was very basic release, it was more of an example layout for those people who were interested of developing Falklands. PMC Falklands Theater was (re-)born in 2016 when most of the files was re-made from scratch to current standards (including full Falcon bms v4.33 support). The 2016's release was labeled v1.3 with all the new features and improvements included. This theater uses the default Korean textures from original Falcon. When using the default tiles we have full set of road, river and airbase tiles etc already ready to use. New texture tiles are planned but it will take a bit time. Includes standard three campaigns, easy, medium and hard difficulty. Ground unit placement for active ground war is not possible with traditional Falcon 4 engine method because the historical battles in Falklands islands were so tiny that any Falcon 4 dynamic campaign would be over within hours. Fictional campaigns can include ground war in Chilean and Argentinian soil. 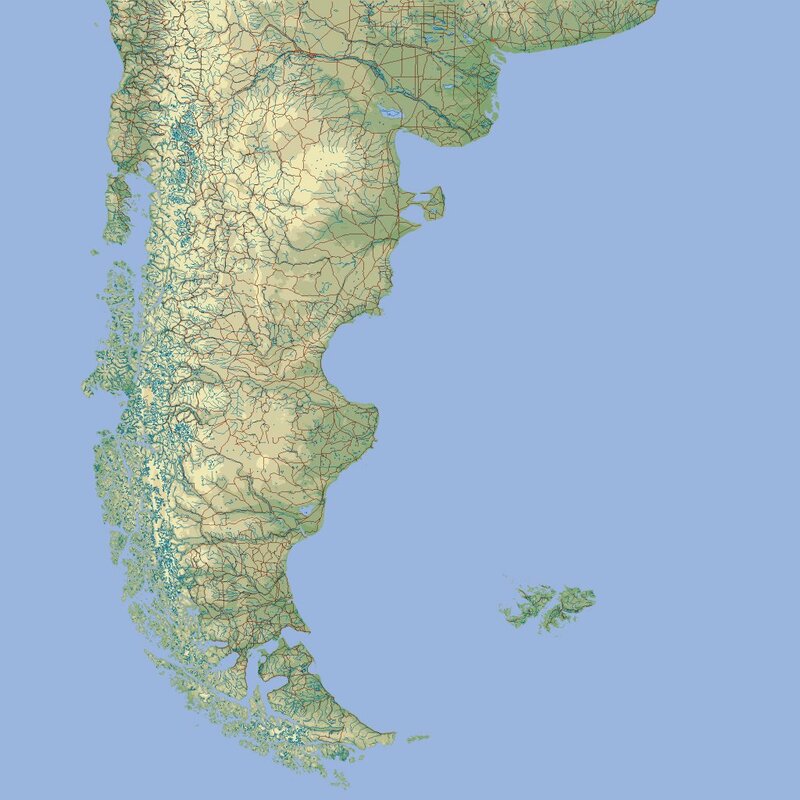 Falklands theater's countries or teams include Argentina, Chile and United Kingdom. Initial campaign designs are UK aircraft's to fly from Falkland island to strike targets in Argentina and to defend Falklands as well as ships in british task force. Our plan is to include historical Falklands War campaign setup with possible database edits etc. Campaign designs are subject to change.